To make the best out of your chopping and cutting needs, you need the niftiest and the best vegetable chopper that will save your time spent in the kitchen. As a mother of two who lives in a joint family, trust me when I say that it is not the cooking that takes time. The chopping, cutting, slicing, and dicing takes away the bulk of the time. This is also what most recipes dub as the preparation time. To cull this time, you need the best vegetable chopper around – and let us list the best ones for you in random order, with each being a little different from the rest. 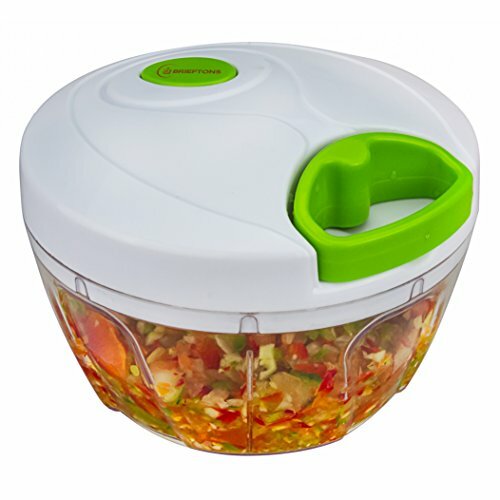 Electric or Manual: Which Is The Best Vegetable Chopper For Me? This is as manual as you can get and successfully removes the need for a chopping board and knife set. It’s easy to use and gets solid reviews from just about all users. We really like the Lovkitchen Multi-functional Adjustable Vegetable & Fruit Chopper because of its compact size and multifunctional use. The body is hardened plastic while the blades are stainless steel. So basically, the Lovkitchen Vegetable Chopper means you get great quality and durability, at an economic value. The overall combination is tough enough to slice onions, potatoes, carrots, radish and even parsnips with ease. 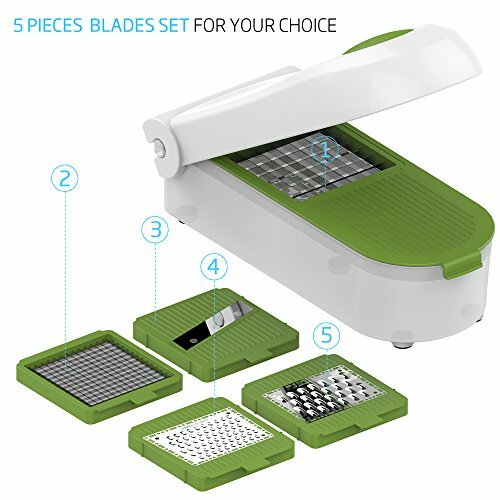 It comes with five different blades for you to use to easily chop, slice, dice, and grate. It even finely chops all the veggies you need to cook in your stews, soups, and curries, or serve raw as salads. In fact, this chopper is the best vegetable chopper when it comes to manual chopping because it is very versatile. It can chop just about any vegetable or fruit you need to work with. The 1.3-liter plastic body is free of BPA, PVC, or phthalates. This makes the LovKitchen Vegetable Chopper one of the safest and healthiest choices for you to use. There is a cleaning brush accompaniment with it to remove any stuck pieces of vegetable or fruits but it is dishwasher safe and can be safely cleaned in a jiffy. The small and compact size also doesn’t take up much storage as the blades can be stored inside the body when not in use. If you like everything done at the touch of a button and aren’t too fussy about chop sizes, then you can go for the Cuisinart Mini-Prep Plus electric vegetable chopper. It’s a nifty gadget to have and can chop and dice veggies at will, at two different speeds. It has a large 3-cup chopping bowl that is happily BPA-free and can finely chop or coarsely grind all your veggies in a jiffy. The steel blade has a patented reverse-movement technology called the auto-reversing SmartPower blade to ensure even chopping all through. It comes with just two touchpad controls – chop and grind – so using it cannot be simpler. The chop function works at a slower speed while the grind function works at a higher speed. The stainless steel blades are sharp at the right places and dull at the right ones too. They work perfectly to fulfill your chopping and grinding needs, including mincing nuts and chocolates for sumptuous recipes. The machine in itself is compact to be placed rather unobtrusively on the countertop and looks rather handsome perched on just about anything. The removable parts – the lid, bowl, and the blades are dishwasher safe, and you can easily wipe down the machine itself for easy cleaning. Your needs may be a little more exhaustive than what a two-speed electric vegetable chopper can provide. If that’s true and manual isn’t your style, try this. The Black+Decker 8-cup food processor may be an answer to your chopping prayers. It has an 8-cup capacity chopping bowl, which means it is large enough for you to work in whatever you are trying to create. Mincing apples for pie, making a large bowl of hot salsa, or even churning out lip-smacking hummus for that evening party. It has a single speed function, but two sets of blades. The stainless steel chopping blade can mince and chop any vegetable to granular fineness. The stainless steel slicer and shredder come in handy when you want to slice up some cucumbers for a salad or shred some cheese for the large batch of pizzas you are about to make. 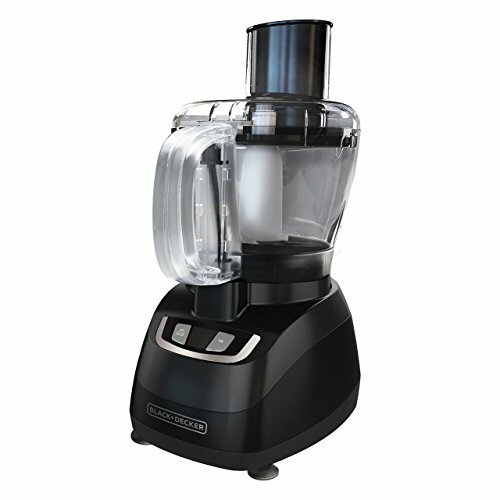 The motor is a powerful 450W, enough to pulverize just about any kind of food. To ease the slicing bit, the chopper comes with a food pusher to guide the veggies being sliced right. It’s a compact size and looks spartan but elegant on the countertop. The integrated cord wrap makes storage hassle-free and convenient. All the removable parts – the bowl, the blades, and the lid are dishwasher safe while the machine itself can simply be wiped clean. To chop vegetables, pull cord. Sounds unrealistic, but that’s exactly what pull-cord style choppers do. Open the lid, put in the vegetables and fruits, close the lid and pull away – it’s as simple as that. The manual labor involved isn’t much, and unlike an electric chopper where you end up with either large pieces of veggies or a complete soggy mess – this one lets you see and control the number of pulls you need. Thus letting you stop before the veggies are nearly pureed. That said; pull enough number of times and you easily turn soft foods like tomatoes and avocados into a nice puree for salsa or guacamole. The bowl of the chopper has a 3-cup capacity and an anti-skid bottom – making it securely hold on to even the wettest of counters. The lid is round and can be firmly gripped while you pull the ergonomic and large handle to start chopping with ease. The plastic is all BPA-free which means its ideal for you and your family’s health as well. The entire chopper is dishwasher safe and to clean it all you have to do is take the components apart and place it on the upper rack of the dishwasher. Simple, safe and easy to use – this is a durable and economical option for you. Don’t go just by the name – this nifty little device is more than just a “salad shooter”. It may just be the last chopper you ever buy! 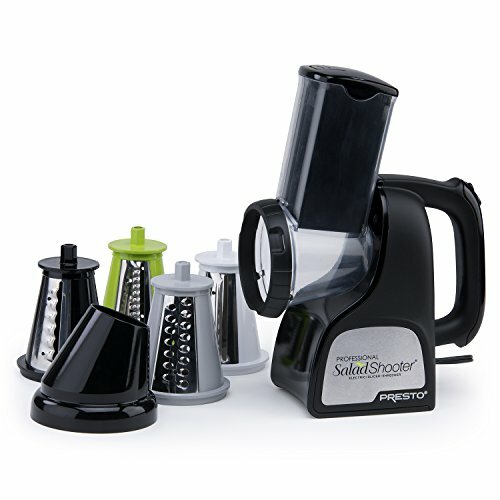 The Presto Professional Salad Shooter works around the ease of use concept. There are no bowls for you to clean. You just load up the vegetables or fruits in the chute and click in the cone you want to use. Then aim at the salad bowl or curry bowl you want the vegetables to fall into. Just press the button and the salad shooter begins to do its work in a jiffy. And rather stylishly as well. It comes with four interchangeable cones for making regular slices, thick slices, ripple cuts, and shreds and also has a funnel guide for ease of use. Other than fruits and vegetables, it can also chop chocolates, nuts, and bread so it’s one handy thing to have around. The cones are made of high-quality plastic and you can also buy a few extra ones as added accessories for even more options of chopping. All the removable parts are dishwasher safe while the electric motor can be wiped clean with a damp cloth. Unless the machine is in off mode, the food chamber cannot be removed as an added safety measure. The appliance isn’t great to look at and most would stow it away out of sight. But once you start working with it – it’s an utter delight to have. A vegetable chopper, once you do decide to get one, will be an oft-used appliance in your kitchen. And if you get the best vegetable chopper to suit your needs, you’d use it quite a lot. Why? Because you’d end up choosing it in favor of a knife and chopping board any day. Since this will be a frequently used, washed and used again device, the first thing you are looking for in it is durability. And the durability in this is two-pronged. Stainless Steel Blades: Frankly, just about every vegetable chopper you lay your hands on, whether or not they are the best vegetable chopper, will have stainless steel blades. Even so, make sure they are the best quality possible by checking the grading of the stainless steel – like a 304 or a 316. The Plastic Body: Plastic is plastic, right? How good or bad can it be? The thing is, there are some additives in plastic such as BPA, phthalates, and PVC that can prove harmful to human health. The jury may still be out there, but unsafe plastics have been linked to cancers and many other health issues. So it’s best to be on the lookout for food grade plastic that is PVC, BPA, and phthalate free. Time: Manual vegetable choppers, and we mean even the best vegetable chopper that works manually, are far more time-consuming than electric ones. The basic prep for both remains the same – you have to peel and chop the vegetables into smaller chunks before using them in an electric or a manual vegetable chopper – but the end results are slower in coming with a manual vegetable chopper. Even the best vegetable chopper that is used minus electricity will take its own sweet time. Place: If your cooking mainly happens in the kitchen, and not in an RV or at camp, then an electric option will be the best vegetable chopper for you. On the other hand, if your cooking is more of the eat-under-the-stars variety, then we suggest you got for a convenient manual vegetable chopper instead. The latter does not need an electric point and can be taken along whenever in need. Ease-Of-Use: Do you like cooking, or is it just another chore for you? If it’s the latter, we suggest you save kitchen time and man hours by investing in the best vegetable chopper that is electric. Manual vegetable choppers take time to deliver the veggies and may end up frustrating you because of the time it takes you to get the job done. Economy: As a rule of the thumb, manual vegetable choppers are cheaper and more affordable than electric vegetable choppers. Going by your budget means you choose the best vegetable chopper for yourself, keeping in mind affordability. Plus electric vegetable choppers also use up electricity, which means there’s that added burden on your electricity bill, minute as it may be. Safety: If you have small kids at home who love to come “help” you in the kitchen, a manual option may be the best vegetable chopper for you since it involves less risk and is safer to use. But here we are talking about the pull-cord variety, not the ones with the open blades. Or you can opt for an electric vegetable chopper that has built-in safety functions like not getting started till the lid fits right. Size and Storage: Many of us have rather cramped cooking spaces, already inundated with a gazillion little gadgets to do this and do that. For those of us strapped for space, the size of the vegetable chopper often makes a difference in the final choice. Firstly, there needs to be enough counter space to hold the vegetable chopper while it does its work. And secondly, once you are done using it, do you have enough storage space for the same? Tiny kitchens demand smaller appliances. Safety and Security: Many of us are moms, with tiny little kids and their tiny little fingers that get into just about everywhere. The vegetable choppers have to be safe to be used around kids, and safe enough to be used by kids as well. The pull-cord ones and the electric vegetable choppers with built-in lid safety measures come to the forefront then. Chopping Needs: What will the chopper be used for? Do you just need basic cubes for salads, stews, and fillings? Do you need a whole host of chopping, slicing, dicing and shredding functions to really amp up your meals? Or are you just an overworked mom who needs to put warm and filling food on the table, appearance be darned? The answer to these questions will guide you towards the best vegetable chopper for you. Do you need a basic manual model, a superior electric one, or just a pull-cord one to make your life easier? Small or Large Family? The container volume makes all the difference here. For smaller families, a 3-4 cup container would be the best vegetable chopper. Small and convenient to use and to store. For bigger families, perhaps an 8-12 cup mini food processor may be in order – you don’t want to keep making batches after batches of hummus, do you? You’d want a chopper to do all that you need in one big merry go. Tech Savvy Enough? Lastly, your chopper may be nifty. But it will be the best vegetable chopper for you only if you are nifty enough to use it right. The more advanced versions of electric vegetable choppers come with a big paraphernalia of blades and brushes and instructions. Make sure you get how to use it before you use it, and have the patience to keep changing (and cleaning) the blades, as well as assembling and disassembling the unit! 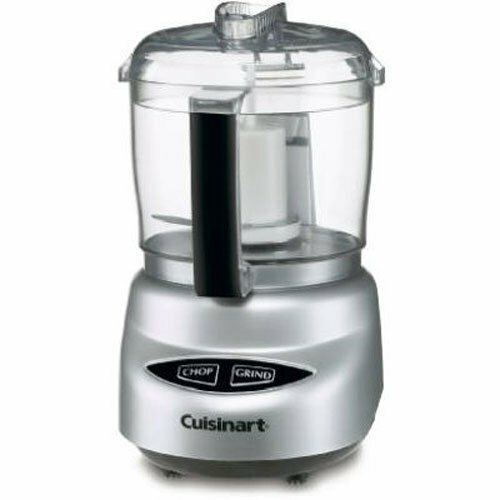 Cuisinart: In 1973, Carl Sontheimer introduced America to the food processor. Since then neither food processors and nor Cuisinart has ever had to look back. Today, under the aegis of the Conair Corporation, Cuisinart helps America and the world savor the good life with a whole host of kitchen appliances and more. Black+Decker: With a capital of just $1,200, two young and ingenious men named S. Duncan Black and Alonzo G. Decker started a machine shop in Baltimore in 1910. From then to now, Black+Decker has evolved into a huge company that makes small kitchen appliances, power tools, lawn, and home improvement tools and much more. Presto: Founded in 1905 in Eau Claire, Wisconsin – Presto started as National Presto Industries Inc as a canning appliance maker. From then to now, Presto has evolved into an appliance maker that keeps the consumer’s needs in mind and churns out nifty gadget after gadget. Brieftons: One niche company, Brieftons focuses on making cutting, chopping, slicing, dicing and every kind of spiralizing super easy for just about any homemaker and cook. They are working on many more products, and their entire line is economical and rather nifty. Hamilton Beach: One of America’s leading distributors of small kitchen appliances, Hamilton Beach sells, and sells a lot. With an amazing range of products, this company makes best-selling appliances year after year. If you still have some doubts about choppers, their functions and if your kitchen really needs one – let’s address them all here. Q: Why do I need a vegetable chopper? A: The best vegetable chopper more specifically culls all the extra kitchen time you spend in preparing the veggies and fruits for cooking or serving. Most of us aren’t professional chefs, and handling a knife doesn’t come easily to the best of us. If you want evenly chopped vegetables, and that too in no time, then a vegetable chopper comes in handy. Remember that the best vegetable chopper will also keep your fingers and hands safe from any nicks and cuts that come with the territory of using a knife to cut, chop and dice. So a vegetable chopper is a nifty device, perfect for reducing man-hours in the kitchen and make cooking hassle-free. Q: Should I buy an electric one or a manual vegetable chopper? A: Ultimately, the choice comes down to budget, space, convenience, and economy. 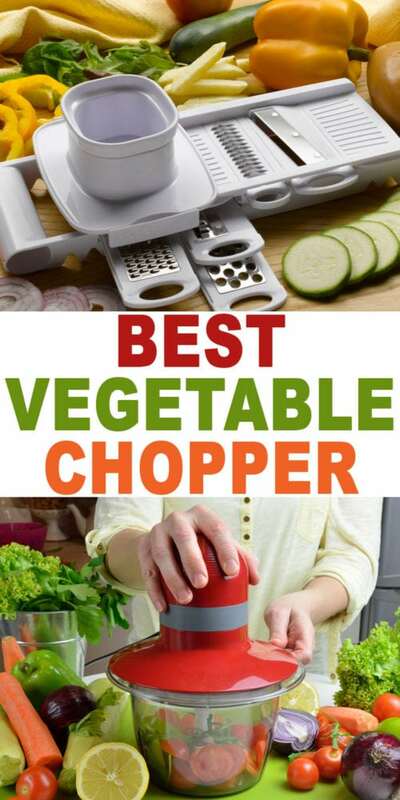 Choose the best vegetable chopper according to your needs and wants. The kinds of cooking you do and the amount of cooking you do will also dictate the kind of vegetable chopper that works best for you. Q: Aren’t they a hassle to clean? A: Most vegetable choppers are dishwasher safe. For the manual ones, mostly all can be washed in the dishwasher except perhaps the lid with the pull-cord in it. For the electric vegetable choppers, most removable parts like the bowl, the blades and the lid are dishwasher safe. The motor or the machine can simply be wiped down with a damp cloth before storage. So no, most of the vegetable choppers are a breeze to clean and maintain. Q: Are vegetable choppers safe to have in a kitchen teeming with kids? A: The kitchen in itself isn’t a place where children can be left unguarded for there are a million things they need to be protected from. They can get into spices and condiments, and then there are all the sharp and heavy utensils that need to be kept away from them as well. That said; getting a chopper that has a built-in safety system is ideal. Think of an electric chopper that runs only when the lid is secure or a pull-cord one which is also safely lidded before use. With kids, its best stay away from the press-down choppers which have really sharp blades that can come into contact with little hands and fingers a little too easy. Honestly, as a mom of two ever-hungry boys, who loves to cook; I have two choppers at hand. One is the manual LovKitchen one – this is where I get my carrot sticks, my cucumber slices and all the other veggie slices, dices, and chops that go into salads, sandwiches, and even curries and stews. I also have the Cuisinart Mini-Prep Plus and this is where I get my fine chops and grinds to put into wraps, side dishes, soups, and pasta. I also prefer my salsa chunky and this makes a killer salsa and even guacamole. Finally, despite having these two vegetable choppers which are the best vegetable choppers for me, I am very inclined to get a Presto Professional Salad Shooter because of the ease with which it can be used. I love the fact that you can “shoot” your veggies, cheese or whatever you are shredding or chopping straight where it needs to go. There is no intermediate bowl that you need to empty and later clean. Just load, aim and shoot for complete nutritive health. So yes, I’m all in for a vegetable chopper, manual or electric. Anything that makes life easier and healthier is good!